As another school year is coming to an end and students everywhere are looking forward to summer vacation, but a few accomplished students have finally made it to graduation! Do you have a graduate in the family this year? Are you wondering what kind of gift you can get them to commemorate this momentous occasion? This graduation gift guide is sure to have something they will love! 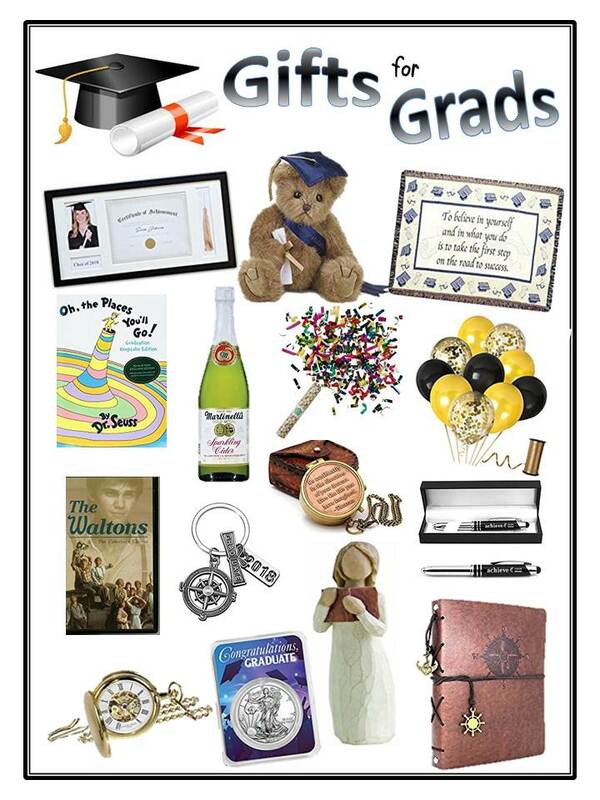 So, look through our Gifts for Grads and pick out the perfect gift for your graduate! Just click on the image or the description below it, to be redirected to Amazon where you can purchase these great products! Roorkee Instruments India Thoreau’s Go Confidently Quote Engraved Compass with Stamped Leather case. The Display Guys ~ CLASS OF 2018 10″ x 20″ Black Solid Pine Wood Frame Use for Pictures, Certificate Diploma, Documents. Luxury Made Affordable, Tempered Glass with White Mat Board.